Stephen Nero is a Registered Physiotherapist in Oakville and the leader of our Oakville physiotherapist team. With more than 25 years of experience. He has helped treat and heal everyday people, varsity athletes and even Toronto Raptors players! He has had the opportunity to work at different facilities including the University of Toronto Sports Medicine Clinic and the Core Health Clinic (owned and operated by Donovan Bailey). Through his journey as a Physiotherapist, Stephen has had the opportunity to work with and learn from some of the best Sports Medicine Doctors and Orthopedic surgeons in the country. Stephen’s philosophy is firmly grounded in early intervention and accurate diagnoses. Treatments are always goal orientated. They include manual therapy, progressive exercise programs, prevention, client participation and patient education. He also does training programs for those wishing to maintain a healthy lifestyle. Prior to becoming a Physiotherapist, Stephen played professional basketball in Europe for 6 seasons. His professional basketball experience enlightened him in both cultural and educational ways. Away from the clinical setting Stephen is an active Rep basketball coach, winning a provincial title in 2011! Basketball and baseball are two of his passions and he loves to play golf whenever he gets a chance. He is also the father of a most excellent daughter! Nathan is a registered physiotherapist and brings with him energy and experience. He has an honours degree in Kinesiology from Brock University and a Masters degree in Physiotherapy from University of Western Ontario. Nathan has won numerous academic accolades and awards including the Ontario Graduate Scholarship and Canadian Institute of Health Research award for health care professionals in the clinical field. His philosophy of physiotherapy combines the utilization of exercise prescription, manual therapy, patient education and client empowerment. 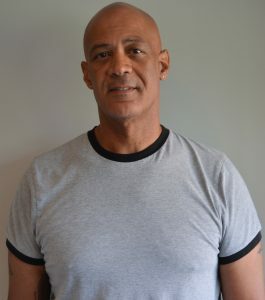 He is committed to evidence-based physiotherapy and has advanced training is soft tissue release, advanced acupuncture certification from the Advanced Physical Therapy Education Institute, concussion training and advanced manual techniques of the lumbo-pelvic girdle. Nathan has long standing experience with seniors, athletes, weekend warriors and individuals whom have had workplace injuries and motor vehicle accidents. On his free time Nathan enjoys teaching other health care personnel about low back pain management. 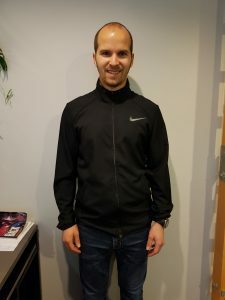 Outside of work Nathan is an avid runner, enjoys hiking, playing tennis, resistance training, and spending time with his fiancée traveling (who is also conveniently a physiotherapist). Nicole Lake is a Certified Athletic Therapist, registered with the Canadian Athletic Therapists Association since 2015. She first completed her Honors Bachelor of Science in Human Kinetics in 2011, followed by her Bachelor of Applied Health Science in Athletic Therapy in 2015. At the University of Guelph, Nicole had the opportunity to work with elite Varsity teams both on the field and in their Athletic Therapy Clinic. With this experience, she decided to combine a love for sports and a desire to work in the health care sector, to pursue a career in Athletic Therapy. 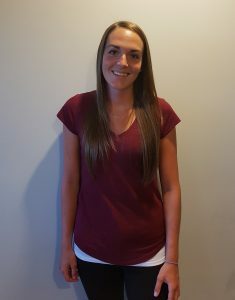 Nicole has had the opportunity to work with all types of athletes, from provincial level football teams, national ranking CIS football, rugby, and hockey teams, to the everyday athlete in each patient she sees. Nicole enjoys the challenge of working with each patient as a unique individual and developing a treatment program to address their specific goals. With a strong background in manual techniques, modality application, and targeted progressive exercise programs, Nicole looks forward to helping you get back to your favorite activities! Jessica is both a Massage Therapist, and an Athletic Therapist. 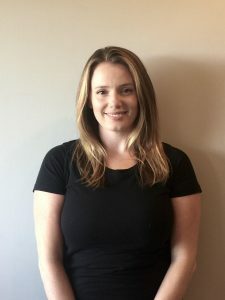 After completing a Kinesiology degree at York University and an Athletic Therapy degree from Sheridan College, she decided to pursue further education in Massage Therapy at Ontario College of Health and Technology. She was wishing to advance the skills and tools she developed through her education and previous experiences.